In the monochromatic girlworld of mass-marketing, how do you protect your daughter’s imagination? As Peggy Orenstein writes in her fabulous book Cinderella Ate My Daughter, this is her major concern as a parent: How do you help these girls to remember that pink is just one color in the rainbow? With the limited, repetitive roles for girls in movie after movie and too many books, how do you keep showing them that there are infinite parts they can play? I make up many stories for my kids, as does my husband. The problem is I want to brainwash my kids but not too much! As my kids’ mom, I obviously, already have an enormous amount of power in their lives. The stories my kids tell me are often derivative of the ones I’ve told them, sometimes too much. When they get stuck like that or continually repeat the same story, I try saying something like: She always takes that path and it doesn’t work out for her so well, what do you think she would do now instead? Maybe she gallops off on a dragon’s back? Or hides under a rock? Runs so fast she flies into the sky? I would love to hear some suggestions about how you protect your daughters’ imaginations. Cinderella Ate My Daughter author Peggy Orenstein put together her list of best books and products for girls. And boys! She writes, reminding us boys benefit from hearing stories about girls too. Duh! But as a mom of three daughters, sometimes I forget. Great to have this resource, and I for one, am happy PO clarified about Roald Dahl. I, too, LOVE this man as a writer but something in his story-telling doesn’t quite sit right with girl empowerment. Why are kids the gender police? Lots of comments on my last post about Peggy Orenstein’s new book, Cinderella Ate My Daughter, and that no matter how no matter how hard parents try, girls and boys adamantly refuse to be nudged out of their prescribed (marketed!) gender roles. Making things evermore complicated, kids at this age also don’t understand that identity is fixed, a girl might grow up to be a dad or a mom. All this ‘slippery stuff’ can make a kid nervous– if she cuts her hair too short, she could turn into a boy! There’s no simple solution here, but plenty to think about, the main question being, when your child is looking for an identity, do you want the Disney executives to be the ones suggesting it to her? 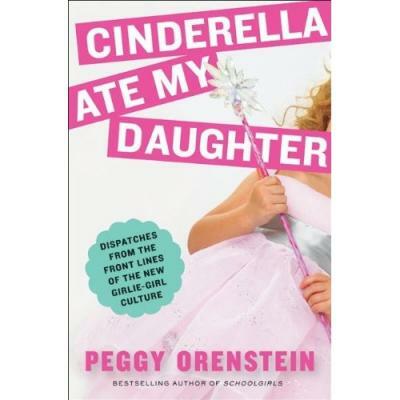 Thank you Peggy Orenstein for writing the brilliant book Cinderella Ate My Daughter. Every parent should read this new, excellent analysis of the ubiquitous princess kid-culture and its various mutations in the world of grown-up women. Orenstein, a NY Times journalist, mom, and writer takes on and deconstructs two (so annoying!) messages every parent hears if she dares to challenge the monarchy of these frothy creatures. Myth number one: we’re just giving girls what they want! 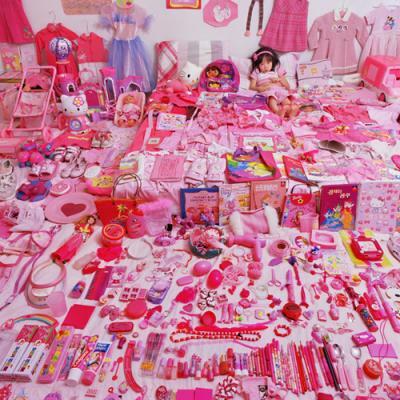 Pink Children were not color-coded until early twentieth century. Before that, babies wore all white, because to get clothing clean, it had to be boiled. Boys and girls also used to all wear dresses. When nursery colors were introduced, pink was more masculine, a pastel version of the red, which was associated with strength. Blue was like the Virgin Mary and symbolized innocence, thus the girl color. When the color switched is vague. 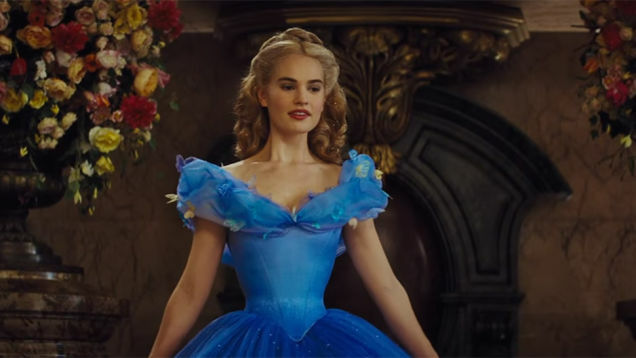 Cinderella, Sleeping Beauty, and Alice in Wonderland all wear blue. Sleeping Beauty’s gown was switched to pink to differentiate her from Cinderella. Princess When Orenstein herself was a kid, being called a Princess, specifically Jewish-American, was the worst insult a kid (and her family) could get. How had a generation transformed this word into a coveted compliment? Disney Princesses as a group brand did not exist until 2000. Disney hired Andy Mooney from Nike. He went to a Disney on Ice show and saw little girls in homemade princess costumes. Disney had never marketed characters outside of a movie release and never princesses from different movies together. Roy Disney was against it, and that’s why, still, even on pull-ups, you won’t see the princesses looking at each other. (How’s that for a model for girls in groups or female friendships?) Princesses are now marketed to girls ages 2 – 6. Mooney began the campaign by envisioning a girl’s room and thinking about a princess fantasy: what kind of clock would a princess have? What type of bedding? Dora and Mattel followed suit with Dora and Barbie princess versions and then along came everyone else. Myth #2: that princess stuff is just a phase– she’ll grow out of it! Princesses are marketed to girls 2 – 6 years old; there’s something very creepy and dangerous about making these kids victims of billion dollar industries. Kids brains are literally being formed, they’re malleable. So this little phase is helping to create a brain that lasts forever. Scientists have pretty much moved on from the anachronistic, simplistic debate of nature versus nurture. It’s now understood that nature and nurture form and create each other in an endless loop. Your experiences influence your wiring. “It’s not that pink is intrinsically bad, it is such a tiny slice of the rainbow,” Orenstein writes. To grow brains, kids need more, varied experiences, not fewer. Phases don’t vanish, they mutate. The basic message I got from this book: the issue is not pink or princesses, but to give your kid more experiences not less. Remember– many colors in the rainbow! (1) Encourage and reinforce cross-gender play. If your daughter is playing with a boy, acknowledge it, reinforce what they’re doing. You are the biggest influence in your kid’s life, you’re not ‘just another person.’ Talk to your kids pre-school teachers and administrators about encouraging cross-gender play. There is lots in this book about how teachers are not trained in this area at all and miss opportunities to help brains grow. (2) Remember, your kid is not a small adult. She has a different brain. Help that brain grow! If your son picks up a My Little Pony, buy it for him instead of yet another car. It won’t make him gay! It will make him smart! (3) Your kids are watching you! Again, they are not just little people with fully formed minds. If you criticize your appearance (or another woman’s), how you treat your partner, how you eat, she takes note.